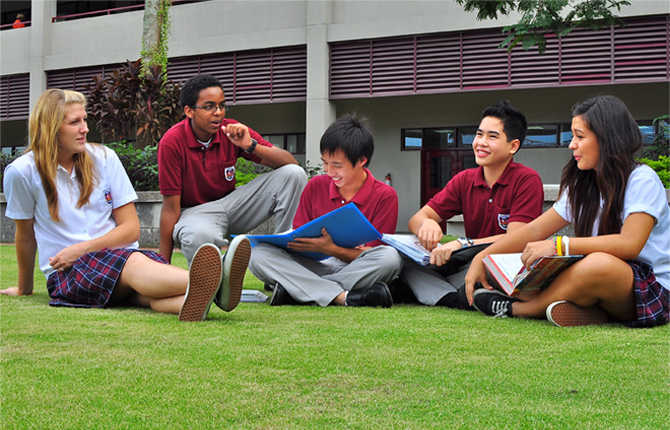 Brent Schools, in a Christian ecumenical environment in the Philippines, are committed to develop individual students as responsible global citizens and leaders in their respective communities, with a multicultural and international perspective, and equipped for entry to colleges and universities throughout the world. Brent International School Manila aspires to be a living International School community, where young people from different nationalities, cultures, religions and family backgrounds, educate one another by mutual understanding and respect, openness of mind in dialogue, acceptance of the uniqueness and limitations of each, growth in the spirit of service and the practice of justice and charity. Quality education, a truly professional spirit, and genuine service to students and society are goals that Brent International School Manila aims to be characterized by. Programs and teaching methods are continually revised, in light of modern educational developments, to meet the needs of the times. One of many areas of enthusiasm is developing critical minds sensitive to important issues and with the ability to form judgments. This is vitally important in a society in which discernment in the use of mass media is required to maintain one’s personal liberty in the face of all undesirable influences. Brent International School Manila is affiliated with the Central Diocese of the Episcopal Church in the Philippines and is a community in which the love of God is fostered and is characterized by the Gospel ideals. are intellectually curious, have a passion for the truth, and integrate and apply what they learn. These seven ESLRs are foundational concepts of the established Brent curriculum and are embedded into each subject at every grade level. Students joining the Brent community already possess many of these skills. The goal is to continue developing skills in all areas so that measurable growth is achieved by the time a student finishes their education at Brent.